I don’t drink craft beer – or any beer for that matter. But I can’t go to a happy hour or restaurant with my millennial colleagues at WILL without running into it. Craft beer and brewpubs are everywhere these days. So it was perplexing – but perhaps not surprising if you are sufficiently cynical – to read that special interest groups and some lawmakers are trying to make life more difficult for craft brewers and brew pubs. According to the Capital Times, the Wisconsin Tavern League and the Wisconsin Beer Distributors Association are pushing new legislation that would impose new and perhaps crippling regulations on small brewers. “Updated: Wisconsin Tavern League, beer distributors draft plan to narrow distribution laws” June 1, 2017. That’s the wrong approach. Rather than pile even more regulation on a new, obviously popular and fast growing businesses, Wisconsin lawmakers should be looking for ways to make it easier for craft brewers to bring their beer to the market and for other entrepreneurs to create new places for people to enjoy it. Most folks do not realize that Wisconsin already has complex laws that pervasively regulate the business of brewing, distributing, and selling beer, wine, and other alcoholic beverages. The so-called “three tier” system, in place since the repeal of Prohibition, requires businesses at each tier – manufacturing, wholesaling and sales to consumers – to obtain a license to do business in Wisconsin. As a general rule, the three tier system does not permit participants in one tier to do business in another. The idea is that a licensed brewer should not also be a beer distributor. And that manufacturers or wholesalers of beer or other alcoholic beverages should not be in the business of operating liquor stores or taverns. The three tiered system may have worked well for a time. When the beer industry, for example, was dominated by a handful of large brewers, keeping manufacturers, middlemen and retailers separate, it might have been more defensible. But more recently these regulations have shown their age and inability to deal with innovation; small brewers, craft brewers, and brew pubs are increasingly important to the economy of Wisconsin. While the largest brewers have stagnated, the craft brewing business has exploded. The number of craft brewers in Wisconsin has grown from, 73 to 137 over the past five years—an 87% increase. Small brewers employ more than 3,000 Wisconsinites. Our state ranks 12th in terms of craft breweries per capita and 10th in terms of barrels of craft beer produced. Craft brewers are not just little brewers trying to become big ones. They are offering a locally and more specialized product that is consumed in different ways. Brew pubs are a new consumer experience that has not been imposed on the market by large predatory brewers but offered by small innovators and enthusiastically accepted by consumers. The three tiered system would not have permitted the existence of brew pubs, because they require the operator to obtain both a brewing permit and a retail license. 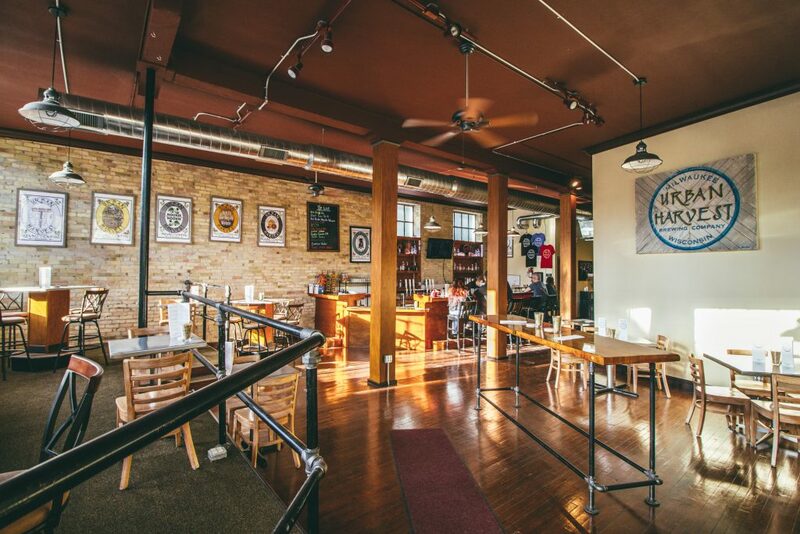 Wisconsin law was amended to permit brew pubs to operate here, but only at the cost of imposing unnecessary and counterproductive restrictions on their operations. The same is true of craft brewers, which operate under relatively new rules relating to “small” brewers – rules that may prevent them from developing their businesses in the way that they and their customers would like. This brings us to recent developments; yet another effort to get the legislature to expand the already overly rigid three tier system in a way that further disadvantages new forms of doing business. Consider the following. Craft brewers frequently operate “tasting rooms: and similar venues in which their customers can sample their products and some of them think it a good idea to offer their customers wine and spirits as well as beer. Boutique wineries in Wisconsin also operate tasting rooms, and want the opportunity to offer their customers beer as well as wine. To do so, each would need to obtain a license to sell products that they do not make. The three tier system has one set of permits and licenses for brewers and another set of permits and licenses for wine and spirits. So far, they have been allowed to do so. But the proposed bill would make these kinds of market driven business models illegal by requiring an overly rigid and restrictive interpretation of the three tier system. It would also create a new Wisconsin bureaucracy to enforce the three tier system – a bureaucracy that could easily be captured by those who want to resist change – the firms who are already well-established in the beer and wine business. This is a bad idea. Innovation benefits Wisconsin consumers. These small brewers and wineries want nothing more, after all, than to give their customers what they want. Fortunately, Republican State Representative Dale Kooyenga, who sits on the Joint Finance Committee, announced he would fight this proposal. Hopefully enough colleagues agree. Even in these polarized times, Democrats and Republicans ought to be able to agree that agree that Wisconsin needs more craft beer – not less. Or so I’ve been told. Mike Fischer, Senior Counsel at the Wisconsin Institute for Law & Liberty.